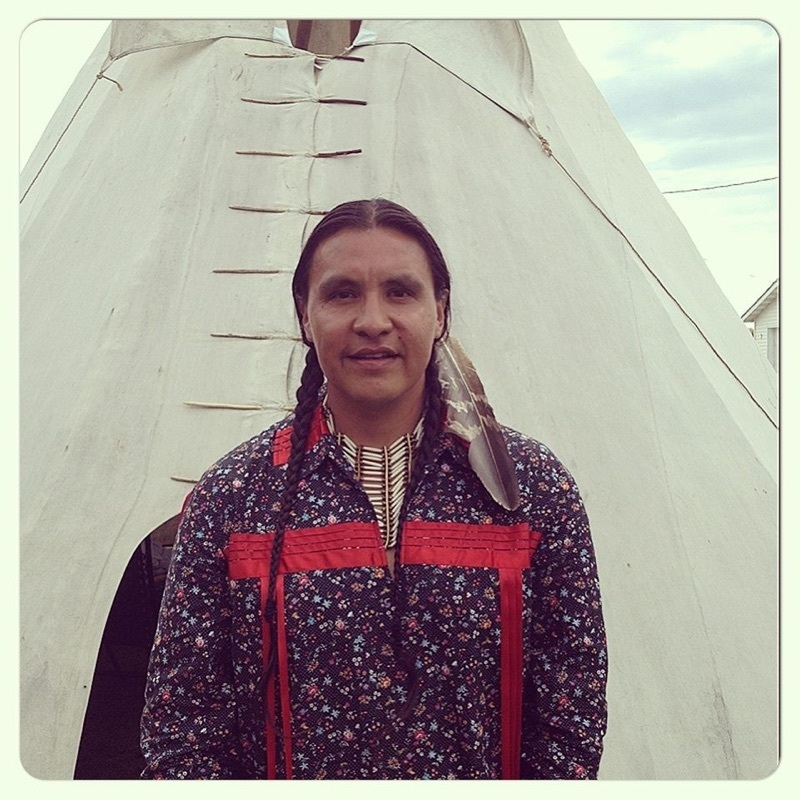 Lakota People’s Law Project Attorney Chase Iron Eyes is garnering national attention for his relentless and undaunted activism as he continues to emerge as one of the most powerful voices in the Indian community. Further cementing his status, Vice News, the alternative news source that is rising rapidly in both popularity and widespread esteem, recently took time to interview Chase Iron Eyes, specifically relating to his role as publisher of the Last Real Indians. The article not only details Chase’s involvement in creating a Native-run publication, but also details a major problem facing Native Americans — that corporate-run media organizations devote little to zero time to investigating and exploring issues relating to Indigenous people in the United States. While hate crimes, such as the 57 Indian honor role students of middle school age having beer poured on them as they were barraged with hateful racial epithets, get little play in newspapers, television news casts or magazines, those same outlets are willing to publish crime stories or one-off superficial accounts of social problems on reservations because those stories are easier to produce and appeal to a low common denominator. The need for Indian media has become more apparent as the Oglala Sioux tribe recently voted to ban the Rapid City Journal due to what it perceived as a racially insensitive story. The controversial RCJ story, which you can read about here, made the case that perhaps the students, between the ages of 9 and 12, were responsible for having beer poured on them because they neglected to stand for the national anthem, even though witnesses present at the game said they did indeed stand. Even if they hadn’t, it’s hardly grounds for an adult to verbally and physically attack children who were being rewarded for their academic achievement at school. The fact that hate crimes such as this either receive no attention or are downplayed by traditional media sources underscores the need for Indian people to produce their own media outlets that advocates their unique and important perspective. The points being made here are so manifold and penetrating that it would take more time than we have here to parse them. But rest assure we will. Of particular import, is Chase Iron Eyes asserting that the injustice toward Indian people is systemic rather than the result of an individual villain or consortium of evil people. It can be challenging for most people to see that a whole system and the way it is structured can be the cause for injustice, even if the people who are manning the controls aren’t themselves unjust. But until we learn to analyze issues with more breadth and depth, we will fail to understand that focusing our outrage, however justifiable, on a single politician, businessperson or political party puts us a long way out from the road to truth. We must analyze systems and the way they subvert the humanity of segments of the population and work to achieve solutions that address the inefficiencies and problems that any system will create. To read the full interview with Chase Iron Eyes click here. Please read it. To visit Last Real Indians, Native media for Natives and by Natives check it out here. Thanks for your support and please help us keep up the good fight with donations, thoughts, prayers or even social media participation. Whatever you can give, we are happy to receive. One source I saw shows that a huge amount of media is owned by only 6 or 7 entities. So if they ignore people and issues, no surprise. Am not Native American. But I hope your stories, issues, get decent air time. The native Indian, from whence they came is irrelevant, they were there long before the europeans. It is there right to be treated as equals. All respect due to them.their human rights should be respected. What is troubling is the culture and the tradition’s have been exploited so much and I find that very wrong and very sad. They are losing not only more of their land, but they are losing sacred sites as well as their pipestone. There is no way to put a price on sacred, but many people do not know how sacred the pipestone is, so they buy it, not realizing that the culture suffers when it is sold. Hi, I recently signed your petition and have just read Chase Iron Eyes article and it is similar to what is happening in Scotland were I live, we recently voted for independence and lost thanks to 40 newspapers and TV stations vilifying us and they still are. These media and press outlets are owned by just 8 people who all support the two political party’s in London. We now have a general election in May and it is said that the party that I support will win most of the seats in Scotland, this has sent the British press into turmoil and the two party’s that stand to lose seats. I will not repeat what my small country and it’s people have been called and are still being called by the press, and what will happen to us , the politicians in Westminster are no better, they hold us in utter contempt. But as an old Scottish hero learned [ King Robert the Bruce ] after loosing another battle against the English, he was hiding in a cave and a spider built it’s web and out of spite he cut the web down and did this several times, but the spider always rebuilt it’s web, he realised Never give up or loose heart , the same goes for all of us, you have friends who are thinking about you even though we are thousands of miles away, Keep fighting and remember that wee spider, and you will win. As “one of the most powerful voices in the Indian community” does that mean you support the ban of the Rapid City Journal by the tribal council?